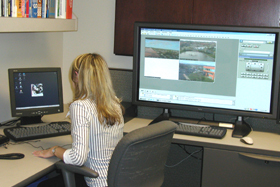 Ciminelli utilizes the Corrigo Work Order Management software to ensure that communication with tenants concerning maintenance and service functions is seamless and measurable. This efficient, web-based work order system allows us to schedule maintenance tasks, manage service requests, document request response and provide our clients with both standard and customized reports that track performance, allow for benchmarking, and provide exceptional monitoring of key operating parameters. Our goal is to exceed the expectations of our building owners and occupants.